So, last weekend we were supposed to go camping but due to very dodgy weather we cancelled but it did mean that we got to have a nice relaxing weekend instead. I managed to get into Tokyo for a hair cut - and got lucky because my stylist was still busy so I got an extra long massage, ohhh yeah! Then we met at a friends house for some good food, beer and company, the boys had fun playing football in their undies in the rain - I'm not sharing the photos until one of them gets married! Then Sunday we had the usual Aikido followed by lunch and shopping, I took a sneaky nap whilst the boys watch the match on TV. And then Monday, which was a national holiday, we had Birthday celebration #1. Ebi-kun wanted to celebrate with daddy - since we will be in the UK for his actual birthday but reading between the lines, he couldn't wait to get his birthday present! I managed to rustle together a Golden Snitch Cake (from Harry Potter), I made carrot cake and baked it in a Christmas pudding bowl, made two then sandwiched them together with cream cheese icing. 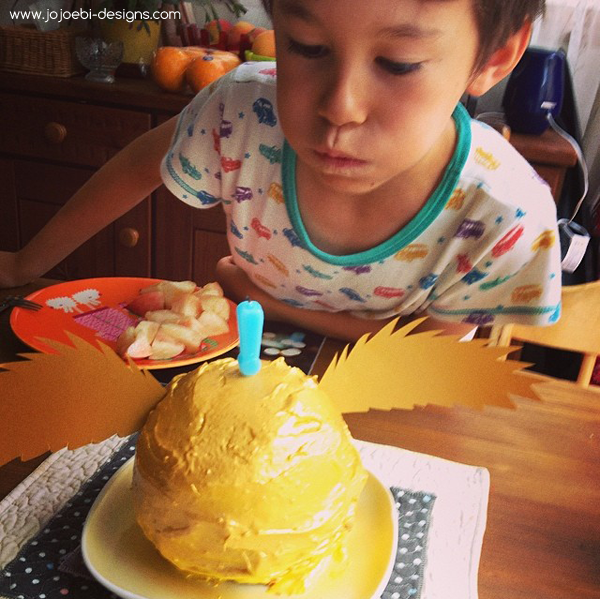 I just happened to have some gold cake spray to spray it all with and finished it off with some golden wings. I was pretty impressed with myself for such an impromptu effort! 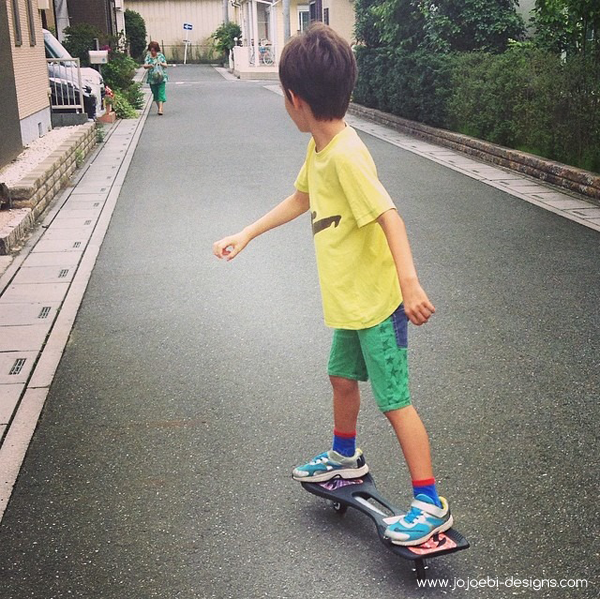 And his present…a Jboard, he has been pestering for one for ages and it is the transportation of choice down our road! Didn't take him long to get the hang of it and now they have a course drawn on the road with chalk, the kids have been busy! All in all a lovely weekend. Now it's just a mad rush to do the packing and get all my work wrapped up, ready to go.